Mr James O’Connell of the Institute of Paralegals, shares his views with us about the continuing rise of paralegals. “In the past few years, paralegals have become indispensable to solicitors’ firms. There are now more paralegals working in law firms than there are Associate, Assistant and Consultant solicitors combined. Within a decade there will be more paralegal fee earners in law firms than solicitors! This continuing rise in the importance of Paralegals is transforming career prospects. 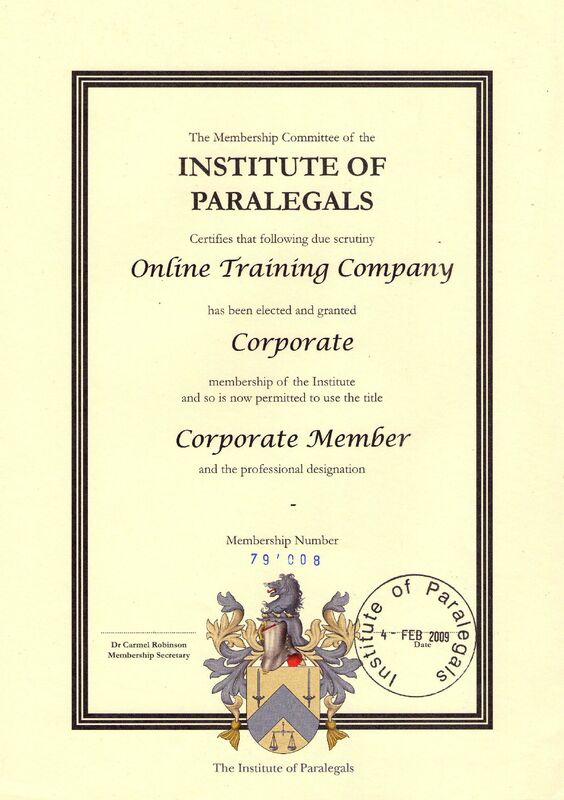 In 2005 we were granted Institute status by the UK government and our work with organisations such as the Bar Council, Law Society, Crown Prosecution Service, law firms and many universities and FE colleges has resulted in the National Competency Standards for Paralegals. Our law Courses are in accordance with the Institute of Paralegal's National Competency Standards. We are registered Member of UK Register of Learning Providers.